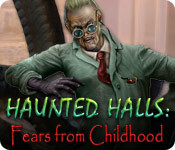 Haunted Halls: Fears from Childhood is rated 4.2 out of 5 by 146. Rated 5 out of 5 by KeishaJL from Excellent but still left confused I know, I know. They leave you with a cliffhanger to get you to purchase the next in the series, but come on...you have to give us some answers. I completed this one in about 4-5 hours. It was easier than the previous one as I knew how things went, multiple tokens open one door sort of thing. 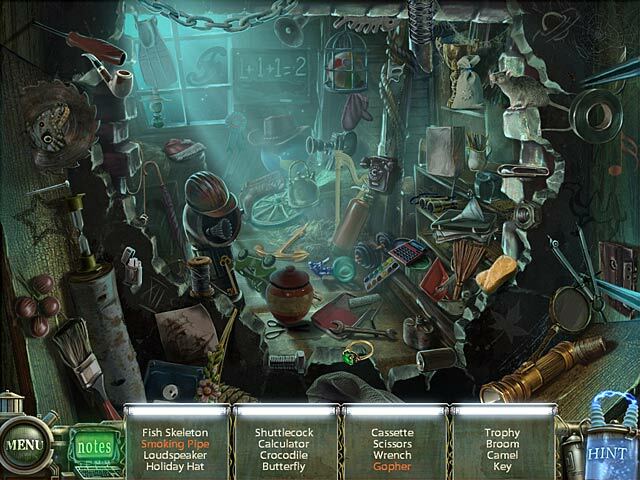 The puzzles are interesting and somewhat complicated to keep you working at them but not overly frustrating. Storyline: This jerkface still has your man! We end up in some weird virtual fantasy world where books open doors to help you save children who are now abducted by the Dr to absorb their fears. 5 Children. +1. Sort of. In the beginning, right off the bat, they tease you about Tim's little sister whom you've never met. Later you see a photo of her on a wall. The game ends and you still don't know what happened to her. For whatever reason we don't mention it to Tim at all. Tim goes through the portal, it seems to close...did we leave too? Don't know, game ends and they thank you for playing. Wait. What? Did we get him? Where's Tim? Where's his sister? Who is his sister? How did the Dr get her? What's going on? I didn't get CE this time because despite buying it last time I didn't think it would be worth the token. The forum appears locked down and no one else mentioned it that I noticed so I have no idea. I may or may not buy the 4th in the series. It's been a good couple of games but the next is the last in the series and has been out 6 years. I honestly don't think I could handle the anxiety it would give me if I got to the end and it was ANOTHER CLIFFHANGER. sigh. The game is old but it's still a really good series. I don't regret the purchase, just the open ended questions. Rated 5 out of 5 by tigerlily142 from Wow. Excellent game I enjoyed this game very much. I have played all of the haunted halls games and I find I like this one the best. Rated 5 out of 5 by HiddenMaster8 from Amazing Series of Games The series of games is amazing. I love the twists and having to save each kid and everything. 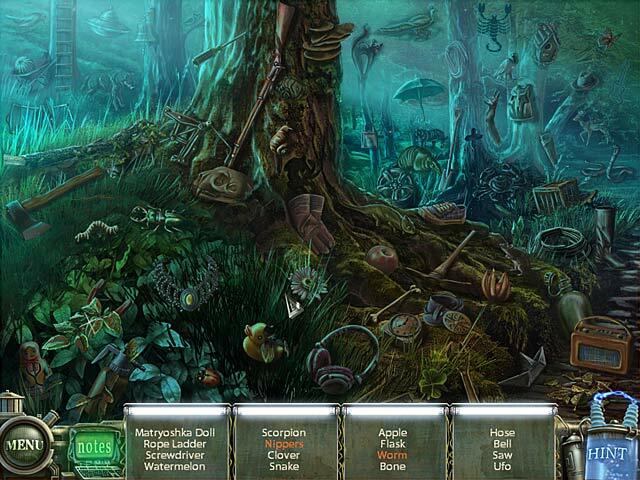 I highly recommend this game to anyone that likes brain teasers, puzzles, and adventure games. Keep making more of these games. Rated 5 out of 5 by JustTheFacts from Dr Blackmore’s Bringing Nightmares To Life! BASED ON COMPLETED GAME FIRST IMPRESSIONS An impressively scary introduction shows a small girl awake in the night, with terrifying transformations all around her, including a really evil looking teddy bear. We feel a sense of urgency, as well as general creepiness and vulnerability, and are reminded that Dr Blackmore, with his disgusting tentacles, is still out there... SIGHTS & SOUNDS The technical quality of the graphics of this one are less impressive than in the first game of this series, even though they are far more interesting and creative, with surreal touches that evoke an instant emotional reaction. Again, there is voiceover only for the narrator of the introduction, but he is well done. The environmental sounds vary from mild to almost unendurable, but all are appropriate to the location. WHAT’S HAPPENING This story picks up from where we left off in the first of the series (Green Hills Sanatarium). The mad and evil Dr Blackmore has escaped us and taken that boyfriend of ours with him into some sort of portal, so now we must confront the doc of his own turf. This turns out to be a weird fragmented corridor in what appears to be space. We soon discover that the doctor has kidnapped 5 children and is feeding off their fears, and we must save each of them from their worst fears turned real, before seeking out Tim (the fool who got himself kidnapped, twice). MAKING PROGRESS The game is primarily about HO scenes, there are a lot of them and they are all visited twice. There is a little animation and some interaction in them, which is a nice improvement. Puzzles are a bit harder than in the first game, and I found I had to skip a number of them, although there’s nothing we haven’t seen elsewhere. The nature of this story is purely imaginary, so that has allowed for some interesting twists in the adventure. I really enjoyed this aspect of this game. Figuring out how to defeat some really scary monsters and rescue the children is really quite challenging at times. Certainly, lateral thinking is required. The action is broken up into self-contained chapters, so a map is not at all necessary useful, but we do have our electronic notebook with us, which keeps track of the story, and gives background on the childhood fears. FAMOUS LAST WORDS This game’s appeal is its very simplicity, at a time when games are getting relentlessly more complex. The focus is on playing the HO scenes and finding ways around the obstacles/monsters. And that’s why I like it. I also think the story is more involving – who doesn’t remember being afraid of something in the dark when they were kids? If you like HO games, and/or fancy a light-weight adventure, then you’ll enjoy this game. Rated 5 out of 5 by neilskinut from there all good I bought this game because of Green hills sanitarium was so good and was not disappointed. Story line is good and the game has a good flow. I have started buying the CE because of the bonus extras that give you the rest of the story. Nothing to difficult to understand. Rated 5 out of 5 by rugspot from So unexpected.!!!! Played some time ago. Just did not buy, but liked it. Had a free game and used it. Not sorry, to say the least. It is a long game. I love that. It is not even the CE. puzzles so many and HO'S so many as well worth, $6.99 for sure. Must put in about, Dark Tales Edger Allen Poe's The Masque of the Red Death. Great.I just expected it to be longer for a CE. They better consider that for the price. 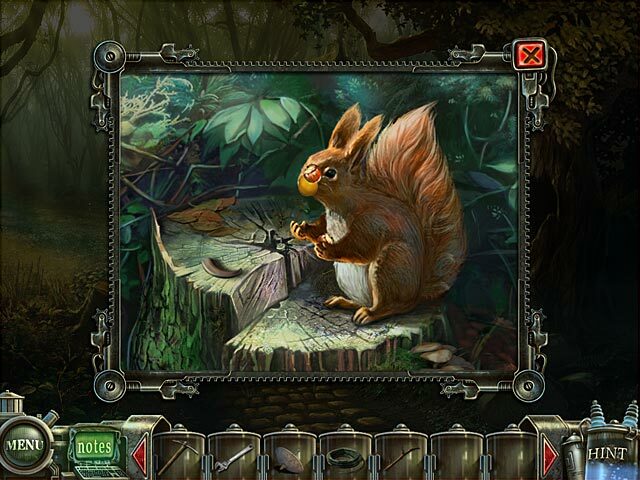 Rated 5 out of 5 by rosekaufmann from NOT SO SHORT AFTER ALL: GLAD I BOUGHT IT Quite a few reviews said the game was short, so I kept debating whether to buy it. I’m glad I did; it didn’t disappoint at all. Took 4 ½ hours on casual – just the right length for me. STORYLINE: 5 children, each with their own nightmares and fears, have been captured by Dr. Blackmore who is feeding off those unique fears, which many of us suffered from as children. Each child’s story is well thought-out and is a stand-alone, so the end of each is a good “take a break” spot. GAMEPLAY: Very polished. Right amount of difficulty – not too easy and not so difficult as to be exasperating. Is generally easy to figure out what to do next as there are a limited number of scenes for the intro and each child. Environments are unique to each child – and it doesn’t feel like the same story is being told 5 times with only slight differences. HOS are not too crowded and are nicely sized. Each has their own type of nightmare. Nice mix of HOS with puzzles. Stories are unique and easy to follow - no getting lost in backtracking. Fun gameplay. The funniest thing that happened in the game: you have to kill 3 vicious plants. After axing the first plant to death, a second plant unexpectedly eats the axe. What a chuckle for an otherwise serious subject. Game well worth the money. Rated 5 out of 5 by FishyFemale from Practically perfect in every way! I was completely bowled over while playing this game. There is a lot to do while you wander around in each location and there are fun animations throughout that make it more enjoyable. I especially loved the toy shop and the way you had to make the toys interact with each other was very cleverly thought out. Each location shows a child in distress and the one immediately following the toy shop was the saddest for me. Let's just say the tentacles had the upper hand there! Very creepy. This is where my computer lagged a lot and judging from the forums, many others had the same problem. The cursor moved at a glacial pace so maybe our video cards were getting too much of a workout because the tentacles were moving the entire time in this scene. It dragged the game down but once I was done with this location, the game picked up again nicely. I was hoping for a more exciting ending with a confrontation with the villain but the game ends rather predictably and anti-climatically. No matter. What you need to do in each location was creative and fun and all the kids get the happy endings they deserve. Rated 5 out of 5 by AmethystFox from Better than the first one! I like this game better than the first one! The puzzles are fun and I like the added bonus of having to manipulate objects in the HO scenes. I like that the whole game is challenging without being overly difficult. Overall, it's a great game and worth the time and money.